Kate Battista is feeling stuck. How did she end up running house and home for her eccentric scientist father and uppity, pretty younger sister Bunny? And, she’s always in trouble at work – her pre-school charges adore her, but the adults don’t always appreciate her unusual opinions and forthright manner. Dr Battista has other problems. After years out in the academic wilderness, he is on the verge of a breakthrough. His research could help millions. There’s only one problem: his brilliant young lab assistant, Pyotr, is about to be deported. When Dr Battista cooks up an outrageous plan that will enable Pyotr to stay in the country, he’s relying – as usual – on Kate to help him. Kate is furious: this time he’s really asking too much. But will she be able to resist the two men’s touchingly ludicrous campaign to win her round? 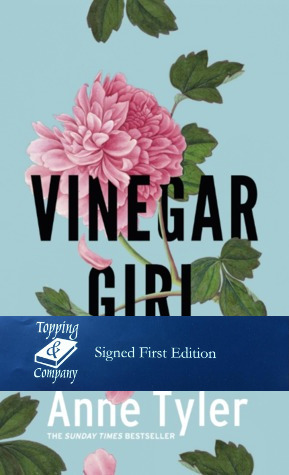 Anne Tyler’s retelling of The Taming of the Shrew asks whether a thoroughly modern, independent woman like Kate would ever sacrifice herself for a man. The answer is as individual, off-beat and funny as Kate herself.